On the 13th April 2013 I was lucky enough to find myself at one of my favourite wedding venues, the Sandbar Beach Café in Middle Park for the wedding of Jules and Stu. From our very first meeting I just knew Jules & Stu were so happily in love and their wedding day was going to be chance to celebrate with all of their favourite people and dance the night away. 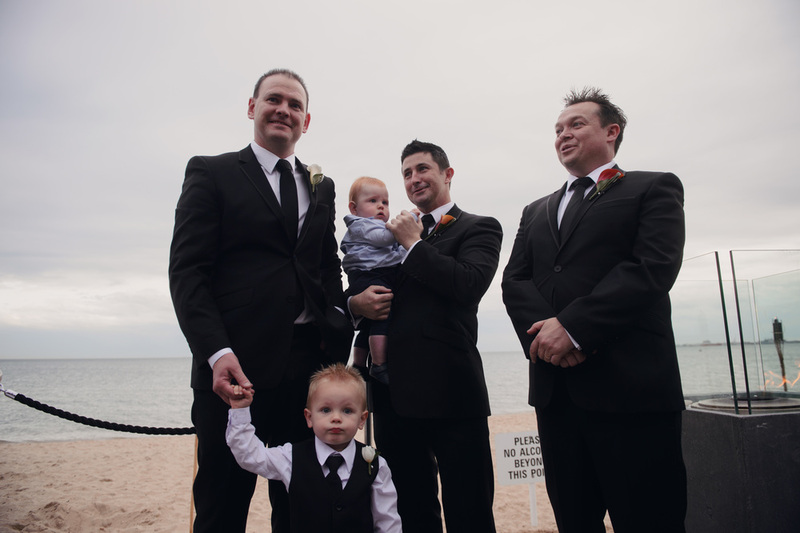 Jules & Stu have already committed to each other in the strongest way possible by bringing into the world their gorgeous sons, one of whom was the ring bearer and nearly stole the show! It was a pleasure to work with them to create a relaxed and heartfelt wedding ceremony. Jules & Stu were so generous with filling me in on what they love about each other. Together we were able to share with all of their family & friends their deep love and respect for each other, their great sense of adventure & love of travel and their very strong commitment to raising their boys in a loving and happy home. 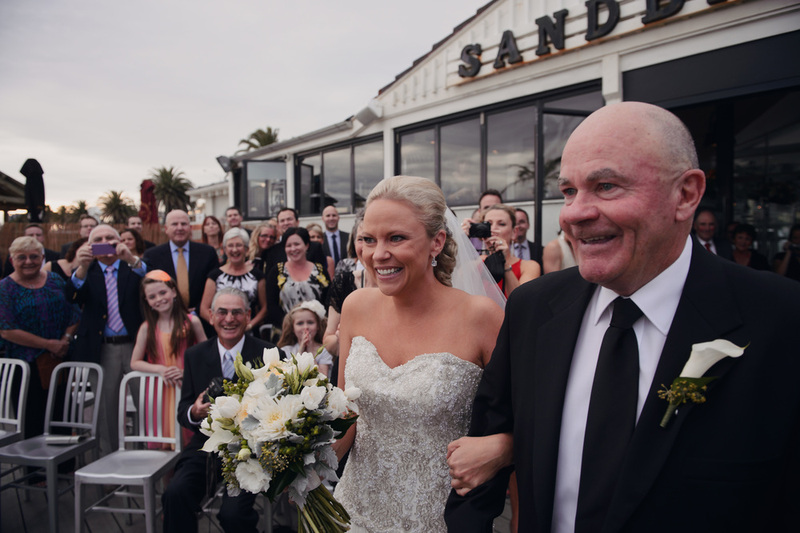 Jules looked amazing, her smile said it all as her very proud Dad accompanied her down the aisle. Stu greeted Jules at the end of the aisle with their beautiful sons and little Lachie was so pleased to see his Mum! Their ceremony was filled with just the right balance of emotion and laughter, which suited them perfectly. Our little ring bearer did a great job! I have been reliably informed the party at the Sandbar that night was a fantastic celebration filled with lots of bubbles and plenty of dancing! I feel incredibly honoured to have played a part in Jules & Stu’s wedding day, I left the Sandbar with a huge smile while feeling elated that I was able to play a part in helping them share and celebrate their love with all of their family and friends.